Luke Morgan, 7, is from Auburn, Alabama. 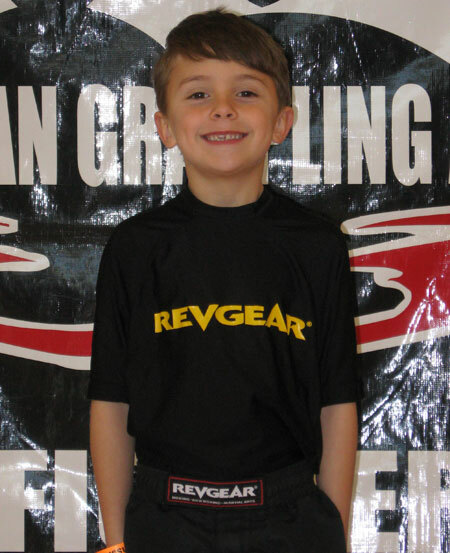 He started taking Jiu Jitsu lessons only 8 months ago at Auburn MMA. After his first week of Jiu Jitsu he said he was done with baseball and football – strictly Jiu Jitsu from now on. Luke trains 3 to 4 days a week with kids aging from 6 to 15. According to his instructors, he is a natural. He entered his first tournament after only 3 months of training. It was the 8th Annual Casca Grossa Grappling Championship, and Luke placed 2nd in kids beginner Gi, and No Gi. Just recently he competed in the NAGA U.S. Nationals in Atlanta Georgia and he placed 1st in Kids NO-GI Beginner 49.9 lbs. & Under, 1st in Kids Gi Beginner 49.9 lbs. & Under 6 & 7 year olds, and moved up an entire division level and won 1st in Kids GI Intermediate 49.9 lbs. & Under. 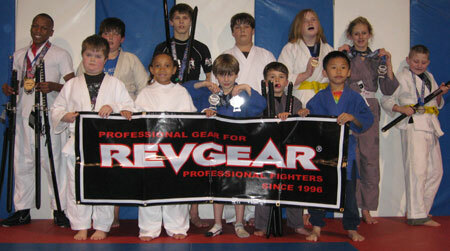 Photo: Auburn MMA kids team. Luke is second from the right on the first row. As a team they placed 5th overall at the NAGA US Nationals.